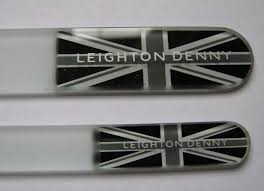 Said to be the Rolls Royce of nail files I was a little skeptical when I first saw these limited edition Leighton Denny 'Union Jack' crystal nail files. I wasn't sure they would be any different to the really good nail file I have right now but you know me, can't resist a so called bargain, so put my order in. I am soo not disappointed, they're great. It really does just turn your nails to dust when filing and they are so easy and fast to use. They come in a beaut little white wallet, although I think they should come seperate as I don't really want to carry the two around together, I can only use one at a time. I need one in my bag and one by my bed! Having said that these are now the only ones I will use. I can understand why these have won so many awards and you can get these yourself at Leightondennyexpertnails.com but unfortunately the Union Jack limited editions have all gone! 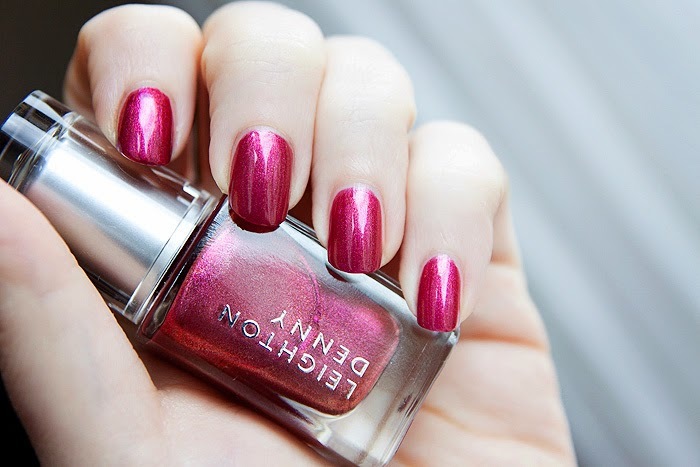 Now I would like some of these utterly gorgeous colours for Christmas please.....are you listening Santa? These are the shades in the A/W Temptation collection. I love all the colours. Ultra glossy. I never really used to be a colour girl, I always opted for the natural look, not sure what happened cos now I love colour, still don't do any type of glitter at the moment though!